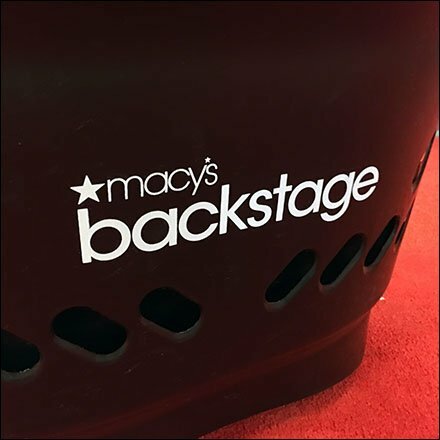 Kowing you will find everything you want and more, this Macys Backstage Branded Shopping Basket also greets you at the entry. How else will you haul your load of treasures out of the Macys Backstage Department, the much larger Macys, and out into the parking lot? Consider the upscale Macys Backstage Branded Shopping Basket presentation in the gallery of images. Seen at the Viewmont Mall, Scranton, Pennsylvania.